A waterfall into a swim- ming pool in Canada? Sure, as long as a proper drainage system is imple- mented in the aggregate base. 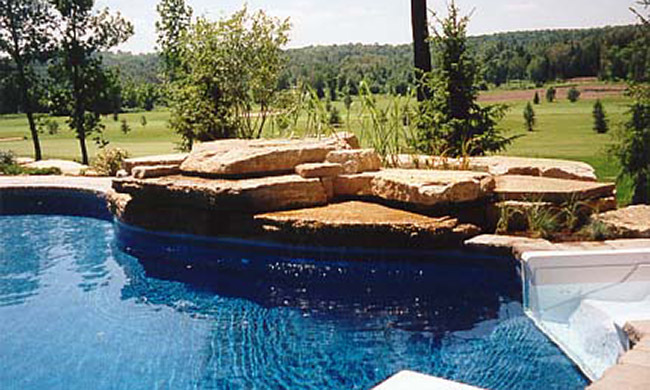 Water is supplied from the pool pump and goes over two levels of rock. The vol- ume of water can easily be controlled from the pump-house. Ornamental grasses were used as a back- drop to give the feature a natural feel.